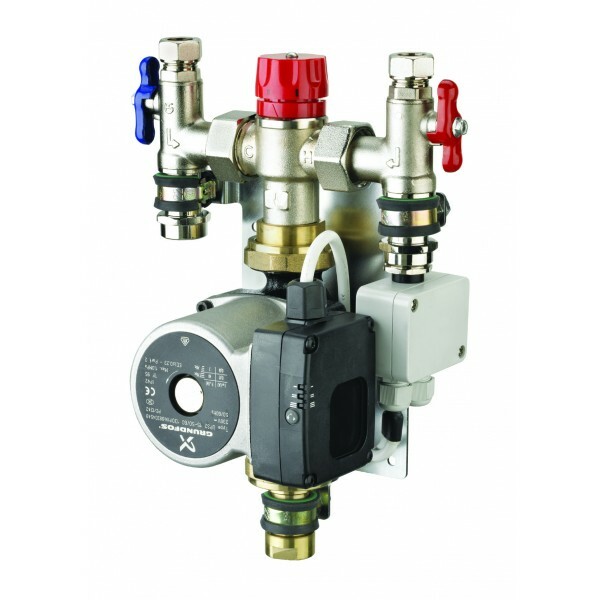 UFH Control Pack for providing temperature controlled mixed water in the single room applications to an Underfloor heating system with a heat output up to 3kW. 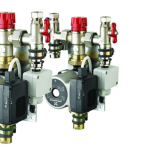 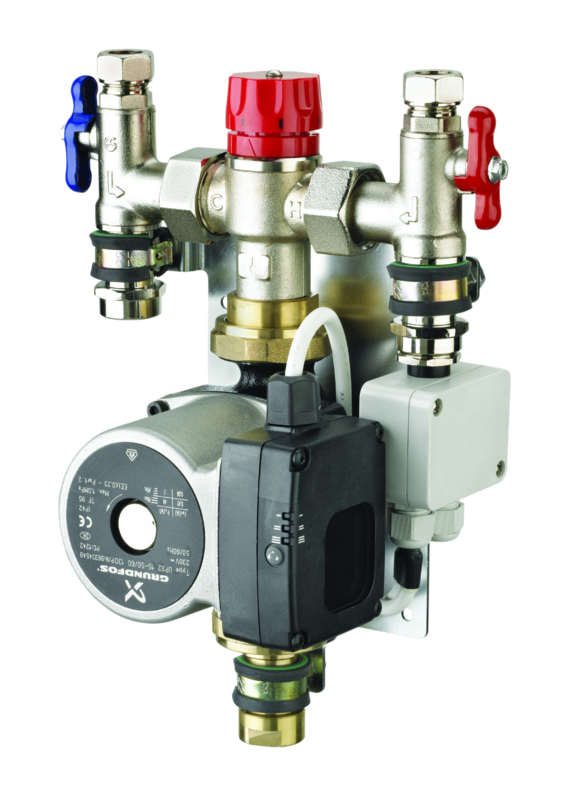 - To provide controlled mixed temperature water to Underfloor heating systems with a heat output up to 3kW. 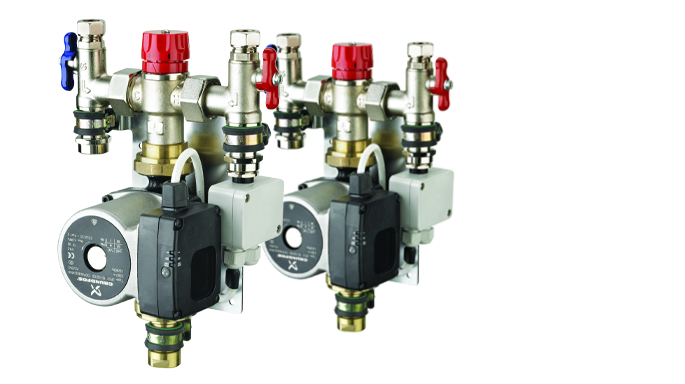 - Easy set up within the adjustable range of 35˚C to 65˚C. 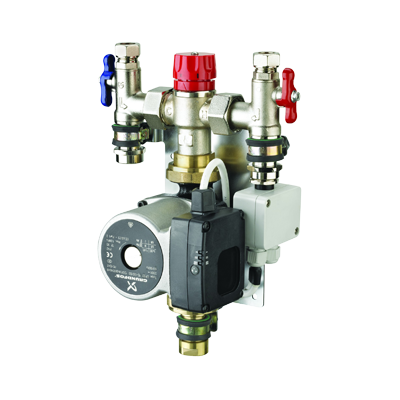 - Controls flow temperature to +/- 2˚C even with changing boiler flow and return temperatures.